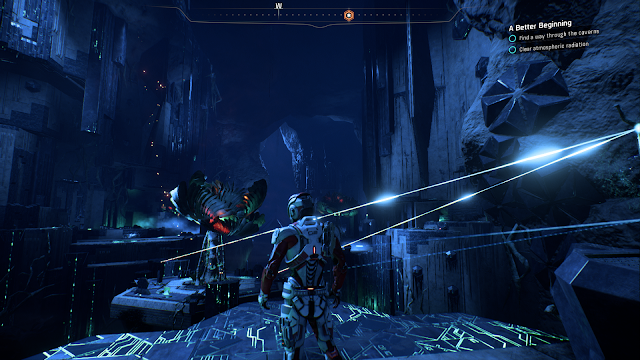 Mass Effect: Andromeda is the fourth game in the series and starts around the time of the second game. 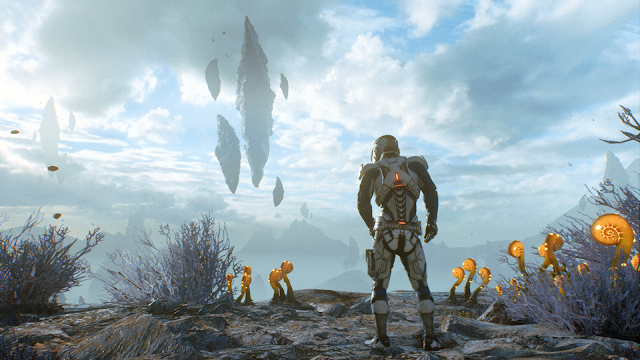 The different species have all agreed that there is more to space than just the Milky Way and that with the Reapers coming attempts to wipe out civilisation, now is the time to find a new home in the Andromeda sector 600 light years away. The people leading each race into the new galaxy are known as Pathfinders. 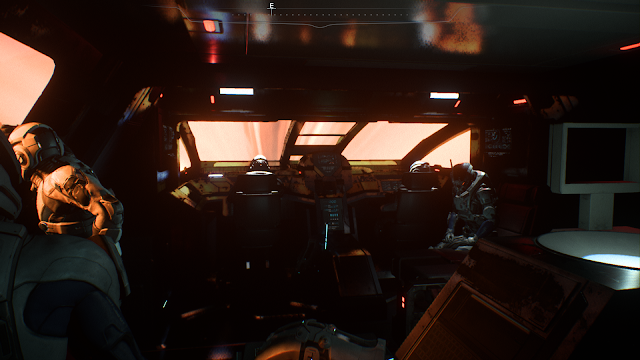 It's there job to find the correct path on to their prospective golden worlds of Andromeda and for the Human race this falls to Alec Ryder, his children Sara and Scott Ryder and the planet Habitat 7. 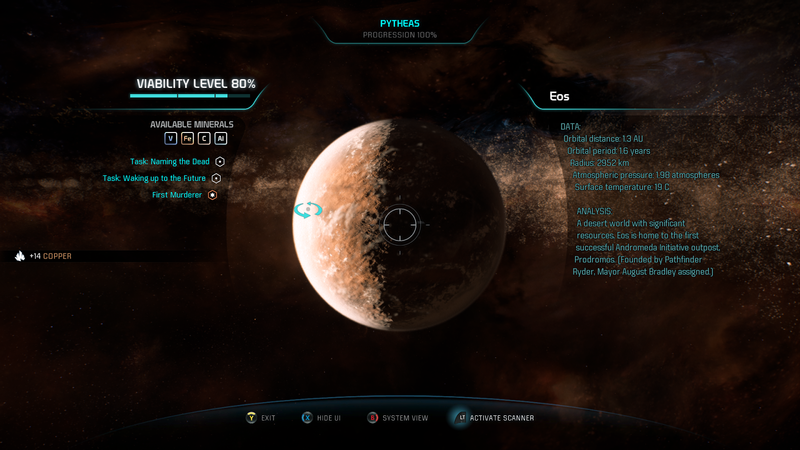 Once you've chosen to be either Sara or Scott the game starts with you and Alec trying to find out what shape Habitat 7 is in and if it's a hospitable planet or not. You come across a race of aliens called the Kett, who just happen to be the main enemy and find out the reason that they are so hostile with some of the members of your crew, Cora Harper who is a human biotec and ex Asari Commando and Liam Kostas an ex security officer who excels in crisis response. With out giving away too much you become the new pathfinder after an accident with your father and it's down to the decisions you make as to how search for a new home plays out. I'm only 15 hours in so far but this game is huge playing both the side quests and the main missions to increase a planets viability. The Tempest is the Pathfinders equivalent of the Normandy and from a crew stand point it is a multi species crew from the get go. So it feels as though the team are set to go from the off set as all Milkyway species have the same goals and if your a fan of Wrex and the Krogan like I was you'll be happy to know there is another funny and kickass Krogan in your crew as well. I'm a huge fan of Mass Effect games and so far Andromeda is likely to have me hooked on the story and crew alone. I will be honest that my only downside is that apart from the Kett, the only other new species would be the Angara who are unsettled due to Kett attacks, so more species would be greatly appreciated in the future games, but I do understand why these new introductions have been so few. I am however really looking to see what Bioware produce with completing the rest of this game and future instalments.